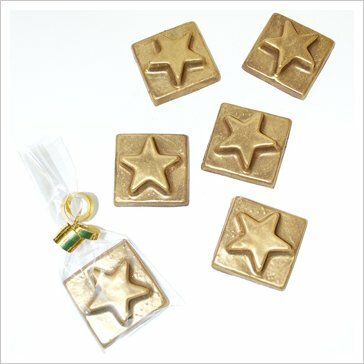 This new chocolate star slab is perfect for award events or Hollywood parties. Made from the finest quality Belgian chocolate and dusted with edible gold. Hand made to order, so they are very fresh and you can also choose if you would like them made from Dark, Milk or White chocolate. Wrapped in clear cellophane and tied with ribbon. You can choose the ribbon colour too.